As the first blast of Arctic air hits the British Isles this weekend and the shops fill up with Hallowe’en merchandise, it’s a clear sign that the holiday let ‘off season’ is upon us. If you run a holiday let, the chances are that the next eight weeks between now and Christmas will be empty on your bookings calendar, so you need to have plans in place to prepare the property for being unoccupied. Why? Because while the holidaymakers are away, the bacteria come out to play. When a domestic water system is unused for any period of time (i.e. more than a week), it gives Legionella bacteria the chance to grow. Any sustained period of inactivity in the plumbing increases the rate of growth exponentially, then when the property is occupied again the bacterial build-up could be at a critical level, endangering the health of the new occupants. In order to avoid this, holiday let managers have two options: drain the system of water while it’s unoccupied, or put in place a documented management plan to control the risk of Legionella. Draining the water system in your holiday let is a relatively simple process which has a number of benefits, including prevention of Legionella growth. If we have another hard winter, by draining the water you will avoid the headache of burst pipes as well as other potential plumbing problems such as leaks, and it will also make it easier to carry out important tasks such as water tank inspections or tank cleaning. It’s a good idea to leave yourself a note on the boiler/immersion heater reminding you to refill the system before you turn it on again! If you decide not to drain the system you can still prevent Legionella proliferation by putting in place a water management plan for the off season. This may be the better option for you if your holiday let is still being used intermittently throughout the winter, rather than standing empty for the whole time. The purpose of the plan is to keep the water moving through the system to prevent stagnation and the build-up of biofilm. This means weekly flushing of water outlets, which is a very effective way to control bacterial growth, but make sure you do it safely to avoid exposing yourself to any bacteria in the water. It’s also important to keep a written record of your flushing regime as part of your Legionella control evidence file. While you are carrying out the flushing it’s also worth checking that the water temperatures are at the right level. Temperature is one of the primary methods of controlling the risk of Legionella, so use a thermometer to monitor that your hot and cold water supplies are at the correct temperature (under 20°C for cold and over 60°C for hot). Again, record your findings. You can also find more advice on temperature checking here. 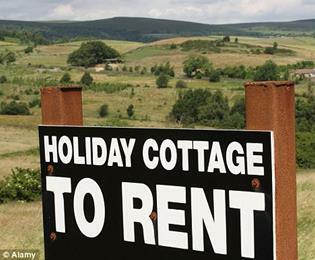 For advice or help with the control of Legionella in rental properties, including holiday lets, caravans and other temporary accommodation, contact us.